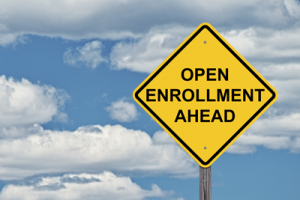 Open enrollment is sneaking up on us faster than you might think. When you consider how much hand-wringing and decision making will occur in the next four or five months, especially when everyone returns from their summer vacations, the importance of having your decision-support tools and information together for your employees should be emphasized. Don’t wait until open enrollment and the confusion that will likely accompany it to start preparing your employees as best you can. With much uncertainty this year on premiums and state exchanges, there will be issues you can’t prepare for now. But the better your video communications, decision-support tools, and organization of your healthcare plans in advance of open enrollment, the less stressed your employees, and the smoother it will all go in November. Love or hate the Affordable Care Act, the changes coming to it this year will affect health insurance plans in all markets, no matter how you provide health insurance to your employees. It’s likely that you’ll have to make changes on the fly this year. To stay prepared, you have to make sure your video communications systems and, more broadly, all modes of communicating health insurance information to your employees are set up and functioning at top performance before they’ll truly be tested with employees with questions and concerns. If you think you’ll have trouble getting everyone on board for health insurance this year, the time to invest in employee videos and decision-support tools is now. Decision-support tools (DSTs) do your work for you. Instead of the long meetings and seminars and fat packets of information, you can leave it up to your employees to make their decisions based on up-to-date information and factoring in their healthcare needs. The hospitals themselves are waking up to the utilization of health information technology tools. Match them with DSTs that make health insurance ready to use when your employees need them. Not only do DSTs make it easier for employees to find the right health insurance plan for them when the time comes, they also improve corporate culture. When employees find these easy-to-use portals and tools available to them long before crunch time, they know they work for a responsible, courteous, and thoughtful organization. The most effective DSTs have powerful algorithms that have the ability to both break down large amounts of complex information and present users with simple options based on their preferences quickly and efficiently. The key is being prepared for whatever the open enrollment season throws your way. If you have your systems set up now, no matter how simple or complex your enrollment systems are, the easier time you’ll have when your employees are looking at their healthcare options for themselves and their families. It can be a stressful time, but if you have the tools and information prepared now, you’ll be able to fix any bugs and inconsistencies long before they become true problems.